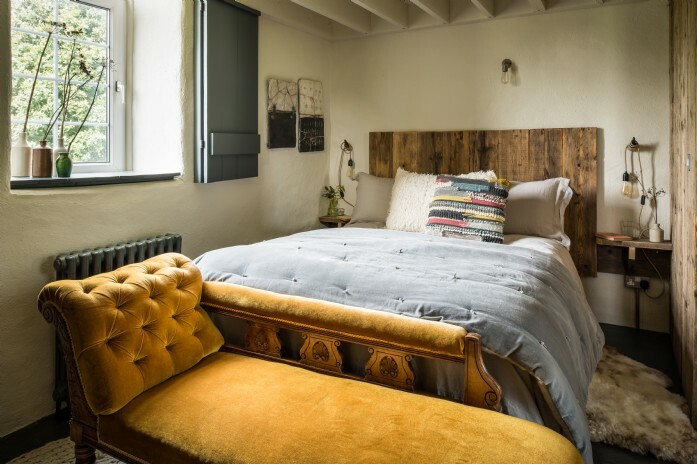 There’s no set formula to what makes a Unique Home Stays property; our country cottages might have a boho beautiful vibe, whilst eclectic bothy-style beach huts sit next to strikingly simple architect-designed spaces. 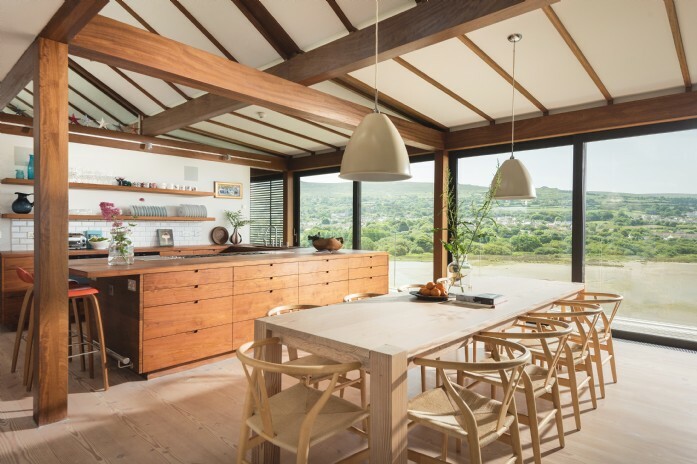 Sourcing artwork for these individualistic homes, where the owners are as interesting as the properties themselves, can be a challenge so we asked cutting-edge Cornish gallery, CIRCLE Contemporary to select a few of their favourite pieces and the homes in which they’d choose to showcase them. 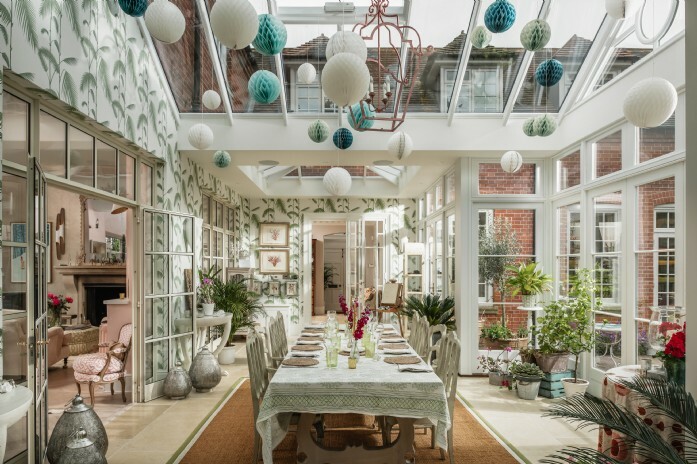 Unique Home Stays interior designer Jess Clark speaks to Co-Owner, Lucy Thorman. Featuring a hand-collected selection of reclaimed wood, feather and stones, the multi-media pieces created by John O’Carroll boast a strong yet simple aesthetic, adding drama to the simplest of spaces. Such standout pieces are best exhibited in a pared-back scheme where the appeal of the property is in the very fabric and essence of the materials used; The Hide is the perfect showcase property for John's works. With an eclectic selection of beach houses that span the British coastline from Kent to Cornwall, artwork for our collection of coastal homes needs to be far removed from the expected holiday home interiors that include ‘to the beach’ signs and hazy day coastal vistas. With a rugged simplicity, and a palette redolent of stormy skies and granite tors, the Cornubia collection - steel framed, poured wax and pigment creations - are as effective as a one-off piece in a minimal interior scheme as used collectively. A vast, waterside home such as Seren Mor would be the perfect property to showcase a large-format piece from this collection. 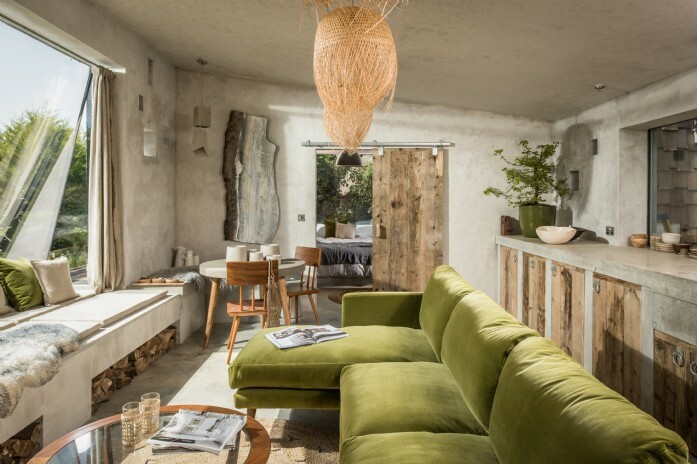 Boasting countryside or wilderness settings, where nature’s palette is reflected in anything from the colour scheme to the materials used, our rustic properties often exude a 'collated and collected' feel. Ceramicist Peter Hayes' creations range from eye-catching garden structures to smaller-scale ceramic panels, a collection of which sit wonderfully in The Stack. Vibrant creative spaces perfectly set the tone for a celebratory stay. Artist Michael Olsen’s beautiful hand-painted feather butterfly installations truly embrace the spirit of summer whatever time of year you holiday. With its colourful and energetic interior scheme, Felicity Park would be a perfect paring for Michael’s flight of butterflies. Designed to bring a little nature indoors, these pieces are both playful and uplifting. CIRCLE Contemporary showcases emerging and well-known artists through group and solo exhibitions, as well as being an onsite studio for artist John O’Carroll. A superbly inspirational space, the gallery is well worth a visit if you’re in North Cornwall, located at Hawksfield, where you’ll also find Jo & Co Home, Wadebridge Flowers, Bespoke Traders and the Goose Shed. There's also a vintage-style coffee house for between-browsing refreshments. Bespoke taster art courses – for individuals and small groups - are available year-round at the gallery, affording a perfect opportunity for those looking to release their inner artist. If not on holiday then when? Interior Designer Jess has been shaping inspiring spaces at Unique Home Stays for over a decade.